We have a full slate of classroom training in September and October perfect for brushing up your skills on Abila MIP Fund Accounting modules or getting a new hire up to speed. Be sure and take advantage of these thorough and valuable hands-on training sessions taught by our own Vicki Welter, CPA. In addition to becoming more proficient and getting the most out of your Abila MIP Fund Accounting software, any training you attend is eligible for CPE credits. Be sure to register today as the deadline is September 11, 2015 for the September 28 – October 1 classes. 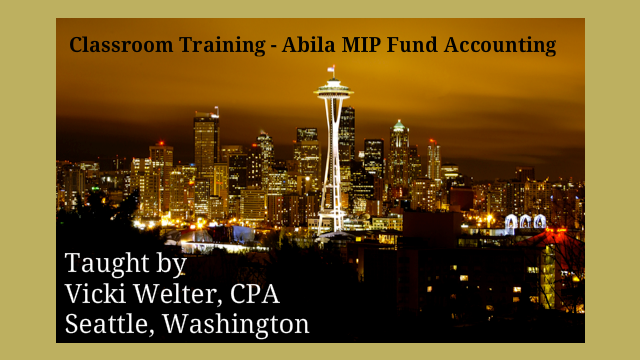 Q: Where will the Abila MIP Fund Accounting Training be held? A: Registration fees vary. Click on the registration links and you will see the pricing. There is a discount for Welter clients who are on our Welter User Support Plan. Q: How long are the training sessions? A: Classes are held from 9:00 – 4:00 daily. Individual workstation and class materials are provided for each student. Minimum of 4 attendees to hold each class. As soon as the minimum attendance is met, you will receive confirmation by email and will be invoiced at that time. Out of town guests should wait to book travel until class is confirmed. Contact us for a list of nearby hotels/restaurants. If you use Abila MIP Fund Accounting and have questions about the impact of the Affordable Care Act, we invite you to join us for a free webinar, ‘ACA in a Nutshell: Using MIP to help with ACA Reporting’ on September 10 at 10:00 PDT. The webinar is free but registration is required. This free webinar will show attendees how to collect and report on ACA data in MIP using the Payroll, Human Resource Management & Employee Web Service modules. We will discuss how this information is entered into the system and who/how it should be entered and effect on ACA reporting. 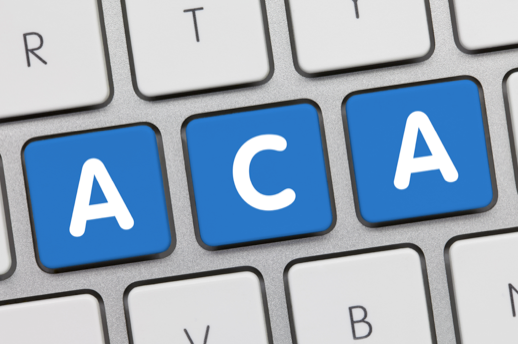 Understand how ACA will affect your organization before the end of the year!